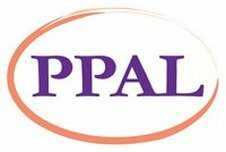 Parent / Professional Advocacy League (PPAL) is an organization of parents and professionals who advocate on behalf of children with mental, emotional or behavioral needs and their families in order to effect family empowerment and systems change. PAL is the State Organization of the Federation of Families for Children’s Mental Health. Our goals are to help families empower themselves through emotional support and information and resource sharing. We support families and professionals working together as equal partners to help families become effective advocates to meet their children’s and families’ needs. Information and Referral: “Parent Resource Network Line; 617-542-7860, Email: info@ppal.net, website:http://www.ppal.net . Contact us for information on support groups and resources in your area. Advocacy: for children and adolescents with mental, emotional or behavioral needs. To advocate in the public forum for comprehensive, coordinated, community-based, family-centered, mental health services for children and youth. Education Exchange information on medical- research findings, available social services, education, legal and public policy issues.